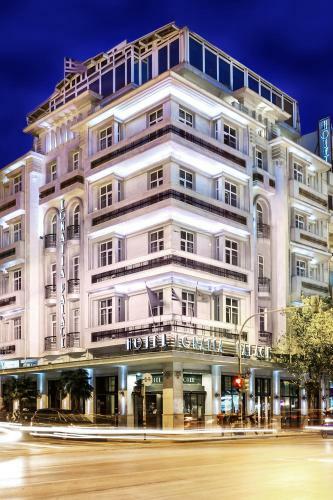 A.D. Imperial Palace is situated in the heart of Thessaloniki�s historic and commercial centre, is conveniently close to the city�s most important monuments and entertainment venues. 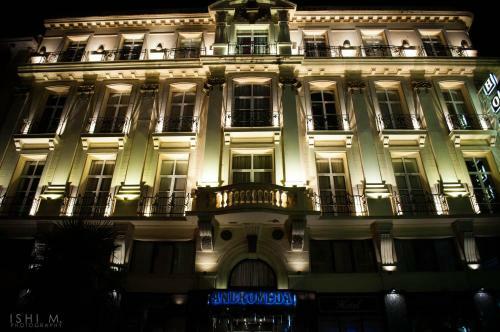 The 4-star Andromeda Hotel is located 50 metres from the seafront. Free Wi-Fi is available in the entire hotel, and the Spa Suite offers guests a variety of treatments. Situated among lush greenery in the heart of the thickly wooded Seich Sou Environmental Park in Thessaloniki City, Philippion lies with a 10-minute drive from the city centre and a 15 minutes' drive from Makedonia International Airport. 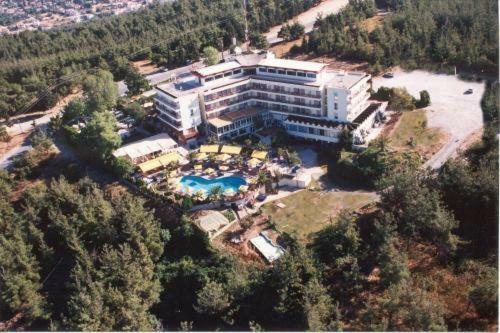 Egnatia Palace is located in a centre of Thessaloniki city, next to Aristotelous Square and right by Thessaloniki Bay. 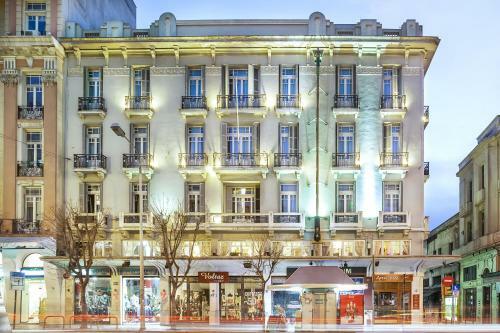 Located in the heart of Thessaloniki's business district, this hotel is listed as a historic monument by the Ministry of Culture and preserves its distinctive original decorative features. Free WiFi is available in all areas. Located in the heart of Thessaloniki, Minerva is within walking distance of the city�s historical monuments and 1 km from the port. It offers elegant accommodation with free Wi-Fi and it has a restaurant. 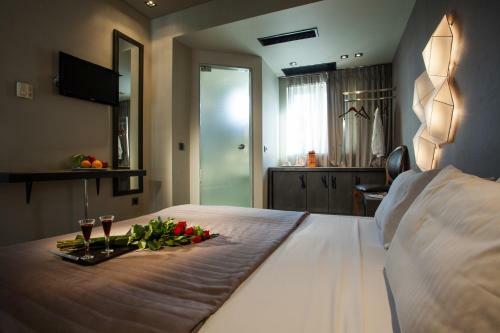 The recently renovated Capsis Hotel is located in the heart of Thessaloniki, 900 metres from the central square of the city. It offers rooms with free WiFi, free use of the gym and meeting facilities. 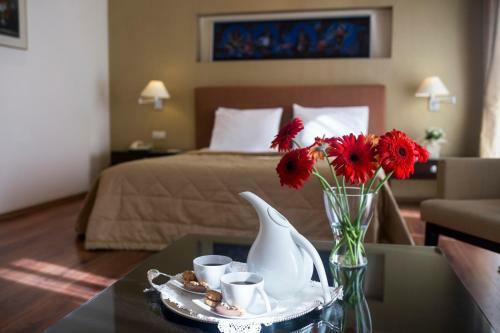 Tobacco Hotel is conveniently located in the city centre, near Thessaloniki�s railway station and port, in the area of Agios Dimitrios historic church. 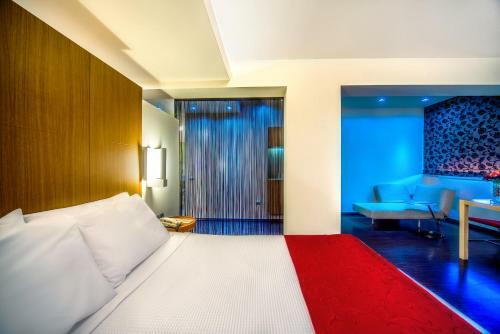 It offers elegant accommodation with free Wi-Fi access and it has a caf� bar. Zaliki Boutique Hotel enjoys a central, yet quiet location, 150 metres from Aristotelous Square. It is only metres away from the Egnatia Street shopping avenue and from the traditional central market.